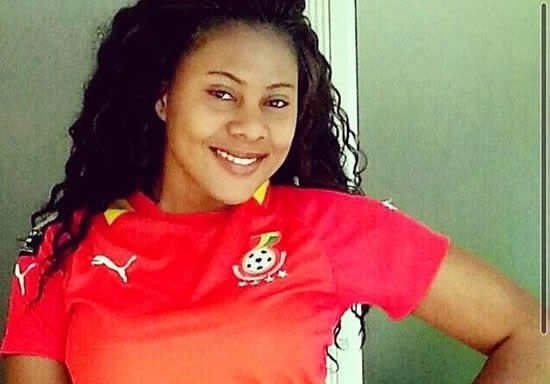 Ghana's representative at the 2014 Big Brother Africa (BBA) Hotshots competition, M'am Bea, has decided to remain single because she believes entering into a love relationship now would slow down her career. The 25-year-old fashion designer suffered a broken heart from her last love relationship. She narrates that bitter experience to News-One and also talks about her career goals, BBA, education and training. All throughout the interview and even after, M'am Bea displayed a type of charming humility and down-to-earth attitude uncommon among her calibre of celebrities. She gave her full name as Beatrice Maame Adjoa Boabeng Oppong and the interview started with a question on her nationality. Have you heard people say you are not Ghanaian? Yes. Several times. Just before I entered Big Brother, my manageress informed me of talks and write-ups all over that I was not Ghanaian. I laughed it off because I’ve heard that kind of talk right from age 15 when I moved from Ghana to South Africa. But honestly, I don’t really mind because there is no substance in that statement. I am Ghanaian through and through and I was eager to enter the contest to portray the Ghanaian in me and I did just that. I was born in Tema New Town, started school there but left when I was 15. I am Fante and I speak Fanti, Ga and Twi. A Ghanaian living outside Ghana is a Ghanaian. What are you doing in Ghana now? I thought you were based in SA. True, I was based in SA working there but I had to resign my job because of the Big Brother thing. I wanted to take a leave but the company I was working for would not grant that because they could not keep my position vacant for three months while other people wanted the position. It was an internship programme. I'm in Ghana currently to conclude talks with a few investors interested in my fashion design business. I am a fashion designer and I plan to establish both in Ghana and SA. Now it is about fashion designing, opening up boutiques and having fashion shows all over the world. From here I would be moving to Nigeria, where I have a lot of fans, and I would be basically meeting people, talking business and possibly get a few deals in the movie industry so I can act in a few movies as well as get some television related jobs. I want to expand my career. Are you thinking of achieving this alongside an acting career and media related job all in 2015? Why not? I am still young and hungry for success. The sky is not even my limit. I dream big and if God has given me the opportunity to be alive today and I have all these ideas and talent in me, why waste time? I believe with the right contacts, right attitude, hard work and focus, my plans are achievable in 2015. What type of fashion are you into? My kind of style focuses mostly on women. I have both African and Westernised collections. The fashion market in SA is mostly Westernised clothes but Ghana has a lot of rich African fabrics and I blend that into my Western style. It comes out very nice and suitable for the SA market. I plan to expand it into something very big this year. Heeeeeey! I am not dating at the moment. I have had my moments of being broken hearted. I have had my relationships; and I was dating but just before Big Brother, we broke up—me and my guy—or I can say he broke up with me in March on some bases that I can’t talk about because it is not necessary. He saw me as someone who was not fighting to make it in life. But everything happens for a reason. I just feel that right now in life, I am still young and it would be a waste of my time if I put relationships before every other thing. I would further focus on building my career, get a good foundation for myself, and be able to help my parents and siblings. That is my biggest goal right now. How do you cope with the task of continuing to say ‘no’ to good men who come your way? Do you know that even married women still get men who want to date them? So being single or not single does not change anything as far as advances from men are concerned. It really depends on you the woman and the goals you have set for yourself, your principles and values and when you set up your mind to stick to your decisions. For me, when I say yes then it is yes and if I say no, then it is no. I know what I want to achieve. I have been there before and right now I just feel that sometimes relationships slow you down and you have to constantly report to your partner on the kind of things that you want to do. But standing as an independent woman, besides your family, you can now move anywhere in the city that you want or country and just follow your dreams. You can travel all over the world in pursuit of your dreams, in pursuit of success. I have had a relationship where the guy was understanding and you could actually sit down and have a good chat, but unfortunately it did not work out for me. The person was looking for someone who is more financially stable but I was not there yet because I had just finished school and started working. You do not expect me to start working in a big company that would pay me some ridiculous amount of money as salary. It is a step by step process so if you as a partner, you aren’t that patient, there is nothing I can do. God has a way of doing things and all of a sudden, within the same year, see where my life is right now. I just thank God for everything and my focus now is on my career. What if a good man comes around your way and you fall in love? If someone comes, I know what I have been through in terms of my relationships, so I have to take my time and get to know the person, build a good relationship and just allow God to take control. Tell me about your training or academic background. Okay. My High School was at Eastland Science College in East London in a place called Eastern Cape in South Africa. Then I moved on to Nelson Mandela Metropolitan University in Port Elizabeth, also in South Africa. I started with Economics, converted to Management and majored in Finance. So I am a finance student. And hopefully I would further my education. A beautiful lady who has majored in Finance can be something else. Why? (laughs loudly) Look, it came with its challenges but it fits very well into my career goals and I have the confidence to go about my job with no one intimidating, cheating or taking advantage of me. Given a second chance, would you have done Big Brother? Yes, of course I would. Being the person I am, I am a dreamer and I have a very beautiful gift and Big Brother has given me exposure to meet people I never thought I could have met. I now sit with such people and have talks and see opportunities. It now depends on me and what I make of these useful opportunities available to me. Given another chance, I would do Big Brother over and over again. Finally, is there anything you would want to tell your fans out there? Thanks for the opportunity because I always love to talk to my fans. One thing I would love to say is that do not be in a hurry in reading the life story of people. Do not assume you know how their life story would turn out because the author might surprise you. Let us continue to dream big because the sky is not our limit. I believe faith moves mountains and we have to remain positive and trust that no matter what situation we find ourselves now, God is not dead but alive and capable of transforming our tears and trials into triumphant testimonies. Mambea ur are so lovely n mature beyond ur age. May GOD continue to bless n protect ur abundantly IJN. Amen. Love from Nigeria. You are a pearl.I can say without fear of contradiction that you are a soul sister. Stay strong. For me dear, I hav always loved you right from the first day I saw u in the BBA hotshots house. And I believe I still do. Money isn't everything, love also counts. Plz don't let all dis way u down. Like you said THE SKY IS JUST UR STARTING POINT. much love frm me.. UBAKA TONI. Toni na love 4 Mam make you wisham sweetness. love u Mam'b. u ar a wonderful person. God bless.